Marian is the Partnerships and Knowledge Manager of the Australian Water Partnership. 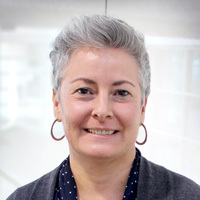 In this role Marian will support both our Australian and International Partners, lead our knowledge management and knowledge sharing activities, and plan our outreach through events. Marian has 18 years of research and water industry-based experience and possesses a PhD in water governance which utilised the Murray-Darling Basin as her case study. Marian has developing country experience working at multi-ministerial and intergovernmental levels on transboundary water management issues in Europe, MENA, Sub-Sahara Africa and SE Asia. Her most recent role was as Program Manager of the International Centre for Water Cooperation (under the auspices of UNESCO) hosted at the Stockholm International Water Institute (SIWI) in Sweden. Marian undertook her BSc in Botany and Geography at Rhodes University, South Africa, an MSc in wetland ecology at the University of KwaZulu-Natal, South Africa and her PhD in Water Justice at the Edith Cowan University, Western Australia.